Here are my astro-notes concerning Spring Equinox 2018 which perfects when the Sun reaches 00Ari00, the Aries Point on March 20, 2018 at 12:15:28 pm edt. In this post let’s focus primarily on the day’s (and thus the Spring Season’s and, some would say, the entire year’s cosmic weather until March 2019) via the Sun-Moon blend of conscious plus unconscious energies and the synergy created by this particular blend. Additionally, a view of the Spring EQ 2018 Horoscope set for Washington DC is available if you’re curious. 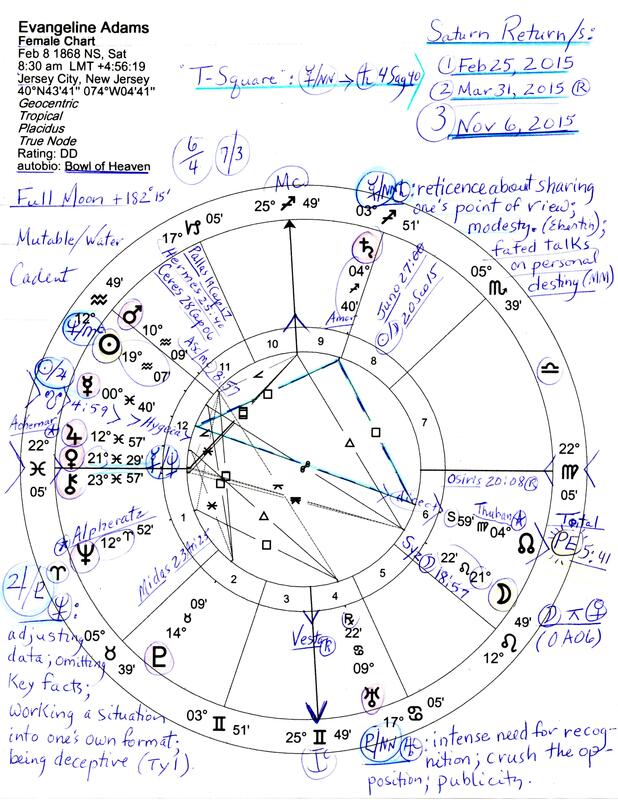 In the chart, you’ll see scandalous Neptune in Pisces at Midheaven and so the scandals, leaks, and cover-ups in America continue. Paranoia, fear, and contagion are unfortunately suggested as well by both Neptune and its natural sign of the Two Fishes. The good news with Neptune is that divine inspiration is always available for those open to higher aspirations than the mere temporal. As for a general perspective on Spring EQ 2018, a consideration of its Fire-Earth Sun Aries-Moon Taurus combination suggests a time when stamina, courage, and determination are in order, while self-centeredness and personal ambition are top of the agenda for folks of a driven persuasion. However, there may be in evidence a stop-go approach to issues as egos pose obstacles to cooperation and understandably disrupt harmony. Actually, all Fire-Earth blends hint at volcanoes in eruption and cause a ‘bulldozer’ effect within conditions which tend to reveal dictatorial attitudes where they exist. Expectably, this sort of combo of energies works well for politicians born under it. One example (though technically he is not a politician, he just feeds off them) is the recently indicted political operative Paul Manafort. In 2017 he appeared in a SO’W post I titled Paul Manafort: the Ram and the Bull for obvious sign-based reasons. This is the blend of the ‘tactless diplomat’ which suggests recent moves toward a meeting between Donald Trump and North Korean leader Kim Jong Un. Why, some people have even suggested Kim’s pal Dennis Rodman to act as ‘diplomat’! Yes, humor and wit are part of the Sun Aries-Moon Taurus blend and this particular face-to-face of global proportions is an example of Spring 2018’s ha-has which may become all too real with hard-to-predict results. Yet the tough vs tender Sun Aries-Moon Taurus combo is able to cut through non-essentials with intellect and a vital spirit but don’t be surprised if it sometimes likes to play devil’s advocate. Smoothing down the ruffled feathers of others is also on the Spring 2018 agenda as are entrepreneurship and the self-confidence to push for economic security. Under these energies hypocrisy cannot thrive (which bodes ill for Washington politicians!) although those who possess magnetic charm will prosper (unless other factors in the psyche interfere). One caution is not to allow jealousy or possessiveness to ruin relationships (always good advice). 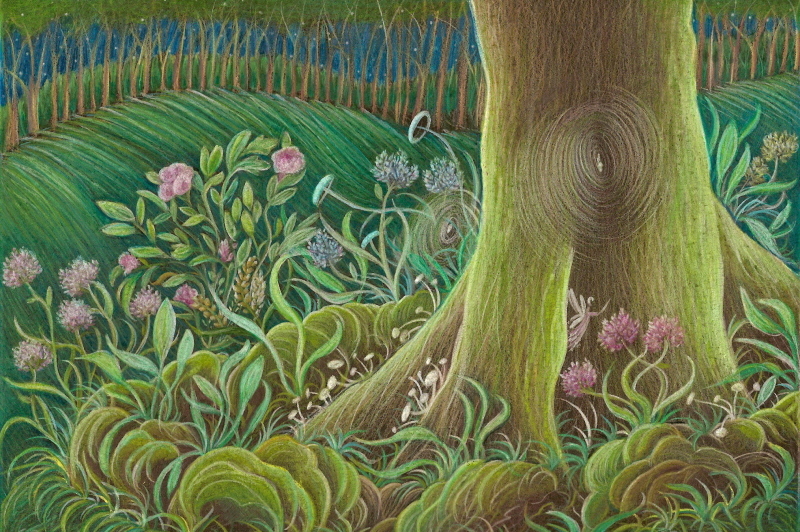 Above image: my pencil drawing, Abandoned Garden. If you’re familiar with Mundane or Political Astrology, you know that the Sun signifies the president in the US, or more generally, leaders and leadership. If you wish, click for more info on the 113th Congress and a view of its natal horoscope with details for the 113th convenes on January 3, 2013 at noon est. You’ll see that that there are two Angular midpoints–one rising (ASC = 113th Congress) and one at Mc (The Goal)–which you may wish to consider if you haven’t already. Today the long seige of a retrograde Mars ends as the planet of action, energy, and motivation begins a forward march. So if I were you (and I’m not last time I checked) I’d take some pertinent advice from my friend astrologer Julie Demboski on the matter! Either way, I hope today’s ‘Friday the 13th’ is going well for you and that all your ducks are lining up in neat rows, ready and eager to waddle forward! What’s up at Jude’s Threshold? Yes, it’s been a while since I’ve had time to post here and though withdrawal symptoms have set in, my blogging schedule has yet to return to normal because a new baby arrives home from the hospital in about an hour so you can imagine how busy my family members are these days, including me! Meanwhile, Politics and Campaign 2012 keep rolling along and though I’m keeping up with the news, I have little chance to write about anything–except for a few exceptions recently published over at Stars Over Washington, my Political Astrology blog where you’ll find Max Igan videos, political videos and links, astro-notes, politicians’ natal planets, and more. One change while I’ve been non-blogging, however, is a new addition to my TV-watching habit on Current TV, the 9 am edt broadcast by Stephanie Miller and crew so check her out if you haven’t for “politically direct” conversation, interesting guests, and an opportunity to call in and express yourself on the political and social topics of the day. Joseph Stack, the man who airplaned into the IRS building in Texas, left a suicide letter for ‘Big Brother IRS man’ and you may read it if you wish. It covers a lot. See if you can find anything he says in the letter that isn’t true. I haven’t so far. Wow, my fellow Americans! I had no idea that we’re a such a psycho-drugged nation, especially since the rise of Prozac beginning in 1996. Doctors are prescribing (distributing) psycho-drug combos at an alarming rate, too, with no studies on how their combinination of chemicals affects the human body. One thing we can know since it’s America: ‘someone’ is making mega-bucks on this unfortunate, health-altering trend. And the victims aren’t paying close attention to what Washington and Wall Street are up due to their drug-induced hazes – and just at the time when we most need the populace to be alert and cognizant. Its’ my belief that with this trend our psycho-drugged, unhappy-with-government citizens are being disenfranchised from participating in our ‘democracy’ which can’t hide its true oligarchic face much longer. And soon, it won’t have to.